Review a recent study about the common ECG variant seen in athletes…Early repolarization. Intro: The adaptations of the human heart never cease to amaze me. Physical training transforms our hearts into high performance engines. Repeated sessions of interval training, combined with longer aerobic efforts, and sprinkled with adequate rest maximize our ability to keep pressure on the pedals, or run the sixth mile of the 10k at the same pace as the first, or for you swimmers, to keep getting back to the wall on the 1:15 mark. Fitness also brings measurable changes in things we can observe. There’s the simple stuff that we see and feel: sharper facial features, looser-fitting jeans and a lightness in one’s step. Then there is the stuff that our primary care doctor measures: lower blood pressure, lower resting heart rate and better cholesterol levels. 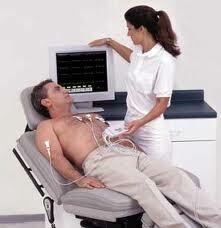 Finally, our cardiologist might see changes in our ECG and heart measurements on Echocardiograms. The changes in the heart that occur with exercise are sometimes called the “athletic heart.” But the amount of change that constitutes normal adaptation is hard to define. Some amount is normal, but not rarely, real cardiac abnormalities are mistakenly called athletic changes. More commonly, normal variants trigger unnecessary, costly and risky testing. Might an ECG have showed something? Could a painless, radiation-free, inexpensive and widely available ECG identify an at-risk patient? Could a 25$ test prevent a death? We already know that a simple screening exam and history is inadequate, as many athletes who die suddenly had normal exams shortly before they died. It isn’t that the exam missed something; it’s just that many of the causes of sudden death are not findable with a stethoscope, or a checklist. An ECG is simple but elegant. There are 12 sticky electrodes placed on the chest and body. Each one of these leads looks (records a single heartbeat’s wave of electricity) at the heart from a slightly different angle. The left arm lead looks at the heart from the left, the leg leads look from below, and the sternal leads look from the front. The 12 leads are printed on a single page and an electrical recording of the heart is painted as if it was a landscape portrait. Like an artist does with a painting, an experienced ECG reader can see many things from the 12 separate squiggles. Quantitative things like rate, rhythm (regular or irregular), duration of contraction (QRS) and relaxation (Q-T) are easily recorded. Qualitative things can also be suspected: strain, hypertrophy (enlargement) and sometimes we say it looks really weird, which is not usually a good sign. Sadly, old skills like ECG reading are becoming extinct. The reasons for this are many, but two that come to mind are: there are few teachers left to teach ECG interpretation, and of course, young doctors have to learn so many other things: compliance with coding, checklists, and appropriate hand washing techniques, for example, that there is nary the time for nuanced stuff like ECGs. Early repolarization: This week, a group of Harvard researchers reported on the ECG findings of competitive college-aged athletes. The study, Early Repolarization Pattern in Competitive Athletes, is available for free in the journal, Circulation: Arrhythmia and Electrophysiology. The researchers analyzed the ECGs and training logs of over 800 athletes in a wide variety of sports—both strength and endurance related disciplines were included. This study is relevant for athletes, because many of us have the common ECG variant, early repolarization (ERP). ERP means the pattern of heart relaxation on the ECG is accentuated. ERP can be confused with heart attack and electrolyte abnormalities. Good. My “abnormal” ECG doesn’t bother me so much now. It’s not bad to have an ECG; it may indeed help save your life. But keep in mind that it’s far more likely to be normal, or a normal variant. Before undergoing costly or risky testing, do not be afraid to ask for another opinion about an “abnormal” ECG reading. Thanks…. I missed that one. There are a lot of us out here that appreciate the extra time it takes to maintain your blog. 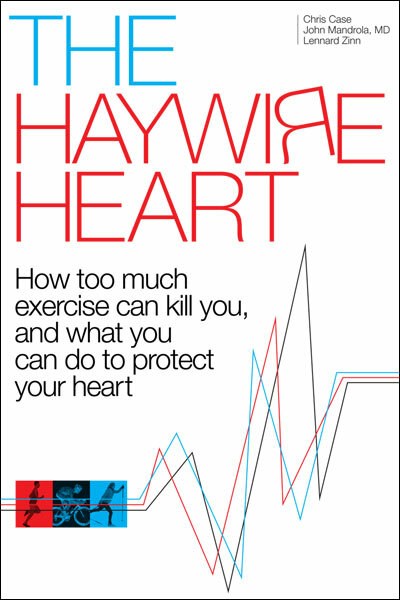 About interpret the heart and skills required for that I’m quite impressed by the Swedish scientist Henschen that used stethoscope to come up with the theory that athletes could develope an enlarged heart. How many would be able to do that nowadays? I am not yet a medical student (soon to be though) but a runner which has gotten me interested in sports cardiology. 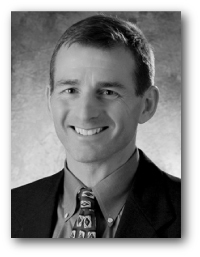 Your and L. Creswell’s (‘Athlete heart blog’) blog really provides some great information on the topic.